This was received by Dagji just now…..enjoy! lie was now discolored, leaving an enormous peace sign on the lawn. greener than the rest of the lawn. Has a miracle visited the US Capitol? If so, then what is the message? or tomorrow. PLEASE HELP SPREAD THE WORD BY PASSING THIS EMAIL TO AS MANY PEOPLE AS POSSIBLE. Jay Baba….again i need to say that i am NOT interested or involved in politics at all, yet it does not mean that i can ignore the facts and the realities which goes on in my mother land…. the news from Iran is NOT so loving! Actually full of violence and hatred… for those who want to know, here is a picture: http://fedration.blogsky.com/?PostID=57 showing the brutal acts of the ‘leaders’ toward the women, in Tehran. Once again, Iranian women have taken the lead to oppose the oppression and we, men, should get a lesson from their courage…..
for the sake of ease/record, will copy-paste it here too. Jay Baba, enjoy his wisdom and humor (i have 2 VCDs of him explaining his approach and it was a delight to see it in Amit/Kaet home, in Rishi Bhavan, Mcleod Ganj, this month. “When words come from the heart, they break through barriers and elicit compassion”, says Marshall Rosenberg. Marshall Rosenberg travels the globe teaching Nonviolent Communication to diplomats, educators, corporate managers, parents, military personnel, peace activists, and others in over 20 countries. He has conducted mediation sessions in the Middle East, Sierra Leone, Croatia, and Rwanda. Sarah van Gelder interviewed Marshall when he was on Bainbridge Island to help mediate a dispute between developers and local activists. SARAH: What was it that first got you interested in nonviolent communication? MARSHALL: I got interested in this type of communication through pondering two kinds of smiles. My family was the only Jewish family in our Detroit neighborhood, and I was exposed to a considerable amount of violence. The beatings every day on my way home were not pleasant, of course, but what bothered me most was that the onlookers would smile and enjoy it. During each day of my childhood, I also saw another kind of smile. My grandmother was totally paralyzed with Lou Gehrig’s Disease, and my uncle came over to help care for her every day after he finished working. My grandmother was incontinent at that time, so it required cleaning her up. As a boy of eight or nine, I thought it was a horrible job! But I couldn’t wait for the uncle to come, because he smiled as though he were getting the greatest pleasure a person could get just by serving my grandmother. I grew up wondering why it is that some people smile when others are being beaten and other people smile when they’re giving pleasure, even though it may mean doing dirty work. SARAH: Where did you go to look for the answer to that question? MARSHALL: I got a doctoral degree in psychology, but I was very dissatisfied with its focus on pathology. The training didn’t help me understand very compassionate people like my uncle. So, for about a year, I studied comparative theology on my own. I saw the commonality that existed in many religions, especially around this word “love.” I soon saw that the words “compassion” and “love” were not so much feelings as they were actions. They are a way of serving people with pleasure and getting joy from that service. I think that is part of our nature. When I say that, people sometimes think I’m rather Pollyanna-ish to talk this way with the enormity of violence in the world. I see an awful lot of violence in my work, but I’ve become even more convinced that violence is not our nature. I was in a refugee camp in Sierra Leone, Africa, and there were hundreds of frightened kids just sitting around who had lost their parents. One of the men I worked with went over and told these kids that I liked one of their hymns. Then he called me over as a surprise and said, “These kids have something they want to give you.” Now, I had just seen them a few minutes before – pathetic, frightened, scared. But when he told them that this would be a real gift to me, they started to sing me this hymn, and I couldn’t believe the looks of pure joy and happiness on their faces. It’s amazing. People, no matter what conditions they’re under, can give. SARAH: How does your approach to communication get people in touch with love and compassion? MARSHALL: The purpose of the model we use is to enable us to respond compassionately to ourselves and others, and to strengthen our ability to inspire compassion from others. We call the language that we teach “giraffe language,” though its official name is “Nonviolent Communication.” I use the image of a giraffe because it’s a language of the heart, and a giraffe has the largest heart of any land animal. Unfortunately for myself, I was taught to speak “jackal language.” You see, a jackal is closer to the ground. They get so preoccupied with getting their needs met that they just can’t see into the future like the tall giraffe. Jackals speak in ways that block compassionate communication, because they’re motivated out of fear, shame, and guilt. SARAH: Can you talk about jackal language first? I was particularly struck by your idea of how we always have choices in how we act. There’s no force on Earth that can make us do anything that we don’t choose to do, though we may not always like the choices that we’re aware of. SARAH: You’ve mentioned two other types of language that block compassion – evaluations and demands. SARAH: OK, let’s talk about giraffe language. How do you foster compassionate communication? One of the key ingredients is to find out what their needs are that aren’t getting met. So I asked both sides, “What are your needs?” And a chief from one of the tribes looks at the other and says, “You people are murderers!” And the other side immediately jumps up and says, “You people have been trying to dominate us for years!” I believe that this analysis implying wrongness creates violence. In a case like this one, I try to hear how the person is behind their talk. I hear the need that’s being expressed, and then I help the other side hear that. Then I keep that flow going back and forth. No matter how they communicate, I translate it into how they are and help each side connect compassionately at that level. Within about two hours, one of the chiefs said, “If we knew how to do this ourselves, we wouldn’t have to kill each other.” If I can keep people focused, I have yet to see any conflict that can’t be resolved. Now, it’s not easy to keep people at that level. SARAH: Because it’s asking people to be vulnerable? SARAH: Does your approach require that all involved are willing to play by certain rules? MARSHALL: No, you can keep this process going with anybody regardless of how they’re communicating. The important thing is to teach people how to listen for how the other person is, even when that other person doesn’t know how to communicate very clearly. SARAH: I was interested in an example you shared in one of your workshops about a group of teachers who were having a conversation that wasn’t feeding you spiritually. MARSHALL: Well, I was sitting around with a group of teachers who were all talking about what they did on vacation. Within ten minutes, my energy had dropped very low; I had no idea what people were feeling or wanting. In giraffe, we know it’s not being kind to the other person to smile and open your eyes wide to hide the fact that your head has gone dead. The person in front of you wants their words to enrich you, so when they aren’t, it’s helpful to be kind and stop them. Of course, in the jackal culture, this isn’t done. After listening awhile to the teachers, I screwed up my courage and said, “Excuse me, I’m impatient with the conversation because I’m not feeling as connected with you as I’d like to be. It would help me to know if you’re enjoying the conversation.” All nine people stopped talking and looked at me as if I had thrown a rat in the punch bowl. For about two minutes, I thought I’d die, but then I remembered to look at the feelings and needs being expressed through the silence. I said, “I guess you’re all angry with me, and you would have liked for me to have kept out of the conversation.” The moment I turned my attention to what they were feeling and needing, I removed their power to demoralize me. SARAH: How does somebody who feels very strongly about making a change in political or economic institutions use the techniques you teach? MARSHALL: Well, once you realize that you have choices, you can learn to live this process in contexts that are very hard. This Kung Fu giraffe, as I call it, involves staying with Nonviolent Communication even in a group situation in which you’re in a minority and everybody else is using jackal language. For example, I see that the product our company is making pollutes the environment. I’m working within an authoritarian institution, so how do I effectively communicate my concerns within that structure even though the group I’m dealing with speaks jackal, and some people have the power to punish me if I don’t buy the party line? The first thing is to get access to the people on the other side. For this process to work, there needs to be a flow of communication and compassion between parties. If we can have enough time to get that flow going, we can resolve any differences. But let’s say these people are not willing to give me access, and I feel that their behavior in the meantime is harmful. Then I might have to use what we call “the protective use of force.” You use this kind of force to protect, not punish, the other people. That might involve things like organizing an employee strike, a boycott of the product, or other nonviolent techniques needed to protect the environment. They may not solve the conflict, but they may get the other side to agree to negotiate. SARAH: There may be cases where one party feels that certain considerations, such as financial ones, are more important than the needs of the other group. I can imagine situations in which there could be a very open conversation and still no resolution at the end of it. MARSHALL: When we keep this flow going, I have not seen that happen. But let’s go back to that situation. Again, suppose I’m concerned that the product a company is making pollutes the environment. I may start by stereotyping the other person: “He’s only interested in money. He has no regard for the environment.” If I think that way about that person, I become part of the problem, because I’ve dehumanized that person in my mind. Labels are static, and life is a process. We’re missing what’s going on when we label, and it leads us to act toward them in a certain way that usually provokes the very thing that we’re labeling. If I’m in conflict with people, I try to hear what needs they have. Now, “needs,” as we define the term, are universal; all human beings have the same needs. So if I connect to what people are needing, I’m one with them. I care about their needs. At the moment that they sense that I am as interested in their needs as my own, we can find a way to get everybody’s needs met. So more concretely, what would that look like? This man might say, “Our work is not going to harm the environment. Our tests have demonstrated that this is not going to harm the environment.” So, this person shares the same needs that I have. I want to protect the environment. Apparently, he’s concerned about the environment also. Now, where we might differ is in our ways of measuring whether something is harmful to the environment. But notice our needs are not in conflict. This person doesn’t want to destroy someone’s habitat, and he doesn’t want to be a menace. You see? SARAH: There may be a tremendous amount of money to be made from the product. MARSHALL: Well, that’s the other side of it! Now, we don’t have a need for money, but money can be instrumental in meeting certain needs. This man wants respect. He wants the material security that money can contribute to. I have those same needs. So, this man’s needs connect with mine. I’d like to find a way to get security and respect for him in a way that meets my needs as well. I’m confident that if this man trusted that I’m equally concerned with his needs as my own, we can find a way to meet everybody’s needs. SARAH: What do you see going on in the world right now that gives you the most hope? MARSHALL: I’ve seen a rapid change in the last 30 years toward a kind of consciousness that gives me hope. I’m also optimistic because, everywhere in the world, people are hungry to learn new ways of communication. For example, people have heard about our training, and we can’t get to them fast enough! participant: I have a teenager who has messed up the living room. My need is for it to be clean, because that makes me feel good. marshall: When dealing with children, you first say what you want the child to do. Second, ask yourself what you want her reasons to be for doing it. I’m convinced that we never want anything done for us out of fear, guilt, or shame. Now, I’ll demonstrate what such a conversation might sound like. …giraffe-speaking mother: When the house is neat, I feel really good, and I would like you to keep it clean. jackal-speaking daughter: Oh, Mom, loosen up. It’s not going to hurt anything if the house has a few things out of order. You only live once. mother: I hear you’re frustrated. daughter: Yes, thank you. There’s so much pressure around here. mother: So you’d like me to lighten up? mother: When I see things in order, I feel better inside. It would be a great gift to me if other people were willing to maintain this order. daughter: Sigh. I have to clean the house. mother: Well, I can see that I haven’t made myself clear. Let’s try again. For me, when I have a sense of order, I can breathe easier. mother: Excuse me. Could you just tell me what you heard me say before reacting? daughter: You said I had to clean up. mother: In the past, I did use language like that – “You have to,” or “You can’t go around living like a slob.” But now I want to start over and come to an understanding between us. Can you tell me what you just heard me say? daughter: That when you come home and see the house in order, it feels good to you. mother: It feels very good! When I don’t have that, my life feels scattered. daughter: Well, you shouldn’t feel that way. mother: Whether I should feel that way or not, that’s not the issue. Could you tell me what you just heard me say? daughter: That when you have that order, you feel really good inside and peaceful. mother: Yes, and right now, you met a big need of mine, which was to hear you say that before you reacted. It feels good to me that we can talk to each other this way. How do you feel? daughter: I feel like I have to do things that I just don’t want to do. mother: So when it seems like a pressure or demand, it takes away the pleasure of doing it? mother: That’s why I am really frustrated about the way I used to ask you to do things in the past. I see how you might be reacting to that. Is there a way we could change that so you do things to contribute to my well-being instead of feeling pressure? daughter: I think so. Can I give you some ideas? 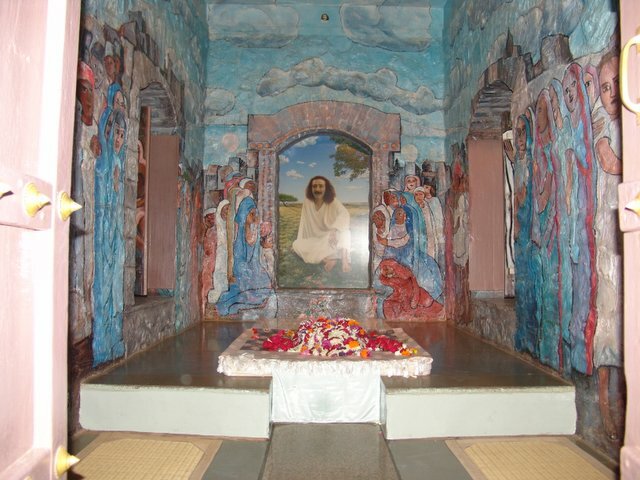 Jay Mehr Baba…….an hour ago I was, for the first time, faced with ‘violence in deed’! A new ‘gift’ from Baba. A brother, FULL of anger and violence, pushed me away, using vulgar American 4-lettered words, saying to get away from the car in which Reza, Peter and Susan where leaving with. He had abused me once before, in words, same favorite 4-lettered ones! for telling him not to spread superstitions around Baba in His land. The ‘reason’ for his violent behavior is SO HILARIOUS that if I tell you, will make you wonder and laugh. But since it needs minute details, I do not do it now and had already told Gary about it. Good thing that brother…. and a few rikshaw drivers were watching the scene and I had to use my whistle to draw attention there, so he stopped the violent aggression, when asked by others to stop it. So this is just something to consider that how the deep feelings of selfishness and hatred can surface so easily in this wonderful land. All it needs is a ‘mad’ man like me to invoke it! May Baba gives me more of this ‘love-madness’! Ameen. Thank you for being within the space of my pilgrimage. Thank you for your unconditional love and humility. I was so touched by your public apology on the Persian night for reasons I know not. For me, saying, ‘I am sorry’ heartfully, makes one a leader of love and forgiveness. You have shown me this leadership and make my trip to India worthwhile. 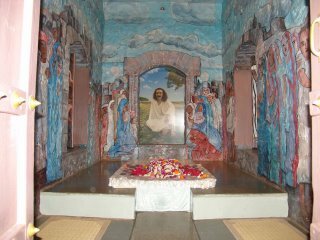 I do not know Baba through his books, at least not yet; but I know Baba, Meher Baba, through unique souls like yours. Thank you again, as I wish you the best in your mastery of servicing humanity. Jay Baba! In His love, Peter Pham……….. Thanks to brother Behrooz for sending these pictures. MAN IS A QUEST, AN ETERNAL INQUIRY, A PERENNIAL QUESTION. The quest is for the energy that holds existence together — call it God, call it truth, or whatsoever you like to call it. Who holds this infinite existence together? What is the center of it all, the core of it all?Science, philosophy, religion, all ask the same question. Their answers may differ but their question is the same. Religions call it God. Scientists will not agree with the word ‘God’; it looks too personal. It looks too anthropomorphic, man-oriented. They call it electricity, magnetism. energy fields; but only the name is different. God is an energy field.Philosophers go on giving different names to it: the ultimate stratum, the absolute, the BRAHMA. From Thales to Bertrand Russell, they have supplied many answers. Sometimes some philosopher says it is water, liquidity; sometimes somebody else says it is fire — but the quest has been eternal. What holds this infinite universe together? Bauls call it love, and to me, their answer seems to be most pertinent. It is neither personal nor impersonal. It has something of God in it, and something of magnetism in it also; something of the divine, and something of the earth.Love has two faces. It is Janus-like: one face looks towards the earth, the other face looks towards the sky. It is the greatest synthesis conceivable: it comes out of lust and moves towards prayer; it comes out of mud and becomes a lotus facing the sun.This word ‘love’ has to be understood. What do we mean by the word ‘love’? One thing we certainly all mean is that it has a pull in it, great energy. When you fall in love, it is not that you do something — you are pulled in. It has a magnetic force. You gravitate towards the object of your love, you gravitate almost helplessly, you gravitate even against your will. It has a pull, a magnetic field — that’s why we call it ‘falling in love’. Who wants to fall? — but who can avoid it? When the energy calls you, suddenly you are no more your old self. Something bigger than you is pulling you, something greater than you is invoking you. The challenge is such that one simply runs into it headlong.So the first thing to understand is: love is a great energy pull. The second thing: whenever you fall in love, suddenly you are no longer ordinary; something miraculously changes in your consciousness. Love transforms you. Falling in love, a violent man becomes kind and tender. A murderer can become so compassionate, it is almost impossible to believe. Love is miraculous — it transforms the baser metal into gold. Have you watched people’s faces and eyes when they fall in love? — you cannot believe that they are the same persons. When love takes possession of their souls they are transfigured, transported into another dimension; and suddenly…and with no effort of their own, as if they are caught in the net of God. Love transforms the base into the higher, transforms earth into sky, transforms the human into the divine.These two things: first, love is an energy field — scientists will agree — second, love is a transforming force; it helps you to become weightless, puts you on your wings. You can move towards the beyond. Religious thinkers will agree that love is both God and electricity; love is divine energy. Bauls have chosen love because this is the most significant experience in man’s life. Whether you are religious or not makes no difference; love remains the central experience of human life. It is the most common and the most uncommon. It happens to everybody, more or less, and whenever it happens it transmutes you. It is common and uncommon. It is the bridge between you and the ultimate.Remember the three L’s: life, love, light.Life is given to you; you are alive. Light is present, but you have to make a bridge between life and light. That bridge is love. With these three L’s you can make a total way of life, a way of being, a new way of being.Bauls are not philosophers. They are more like poets — they sing, they dance, they don’t philosophize. In fact, they are almost anti-philosophical, because they have come to see that whenever a man becomes too head-oriented he becomes incapable of love — and love is going to be the bridge. A man who becomes too head-oriented goes farther away from the heart, and the heart is the center which responds to the call of love.A head-oriented man is cut off from the universe. He lives in the universe, but lives as if in a deep stupor. He lives in the universe, but lives as a tree that has lost its roots. He lives only for name’s sake: the sap of life is no more flowing. He has lost contact; he’s unconnected. That’s what alienation is. The modern man feels too alienated, feels too much an outsider, does not feel at home, at ease with life, existence, the world. He feels almost as if he has been thrown into it, and it is a curse rather than a blessing.Why has this happened? — too much head orientation, too much training of the head has cut all the roots from the heart. There are many people — I have observed thousands of people — who don’t know what the heart is; they bypass. The heart is throbbing but the energy no longer moves via it. They bypass it; they go directly to the head. Even when they love, they THINK that they love. Even when they feel, they THINK that they feel. Even feeling is via thinking. Of course, it has to be false.Thinking is the great falsifier, because thinking is man’s effort to understand the universe, and love is God’s effort to understand man. Let me repeat it: when you try to understand God, or existence, or truth, it is your effort — a part, a very tiny part trying to grasp the whole, the infinite whole. The effort is bound to be doomed. It’s impossible. It cannot happen in the nature of things. Love is when God has found you. Love is when God’s hand is searching for you, groping for you. Love is when you are allowing God to find you. Hence, you cannot manage love. You can manage logic; you can be very very efficient as far as logic is concerned. The moment love arises, you become absolutely inefficient. Then you don’t know where you are, then you don’t know what you are doing, then you don’t know where you are moving, then you don’t know any control. Logic is controlled; love is uncontrolled. Logic is manipulated; love is a happening. Logic gives you a feeling that you are somebody; love gives you a feeling that you are nobody.Love arises in you when you allow God to enter you. Yes, philosophy is a kind of disease — and not just an ordinary kind of disease; it is more cancerous than cancer, more dangerous than all the diseases put together. A disease can cut only one root. Even all the diseases put together cannot cut you completely from existence. Philosophy cuts you, uproots you utterly. What is disease? When one connection is loose with existence, you feel ill. When the head is unconnected, then there is headache. When the stomach is unconnected, then there is stomachache. Somewhere, you have become autonomous; you are no more in the ocean of the interdependence of existence. There exists disease. Disease has a certain autonomy, independence. When you have a cancerous growth inside you, that growth becomes a universe unto itself. It is unconnected with existence.An ill person is one who is unconnected in many ways. When a certain disease becomes chronic, it simply means that that root is completely destroyed; even the possibility to replant it in the earth no longer exists. You will have to remain alive only partially; a part of you will remain dead. Somebody is paralyzed — what does it mean? The body has lost contact with the universal energy. Now it is almost a dead thing — hanging, unconnected. The sap of life no longer flows in it.If this is what disease is, then philosophy IS really the greatest disease there can be — because it disconnects you utterly; and not only that, it disconnects you with such logic that you never become aware that you are ill. It disconnects you with such justifications and rationalizations that you never become aware that you are missing. It is a very self-justificatory illness; it goes on supporting itself. Philosophy means that a man has become completely head-oriented. He looks towards existence through the eyes of logic and not through the eyes of love.When you look through the eyes of logic, you will know a few things, but those few things will not give you the vision of reality. They will be only abstractions.When you look through love, then you know the reality as it is. Love is falling with the universe, together; falling in a togetherness. It is orgasmic: you are streaming, and the existence has always been streaming, and both streamings meet and mingle and are infused in each other. A higher synthesis arises: the part is meeting in the whole and the whole is meeting in the part. Then something arises which is more than the part and the whole together — that’s what love is. ‘Love’ is one of the most significant words in human languages, because love is existential language.But somehow, from the very childhood, we are being crippled. Our roots with the heart are cut. We are forced towards the head and we are not allowed to move towards the heart. It is something humanity has suffered for long, a calamity — that man has not yet become capable of living with love.There are reasons.Love is risky. To love is to move into danger — because you cannot control it, it is not safe. It is not within your hands. It is unpredictable: where it will lead nobody knows. Whether it will lead anywhere, that too nobody knows. One is moving into utter darkness but roots grow only in darkness. If the roots of a tree become afraid of darkness and don’t move underground, the tree will die. They have to move into darkness. They have to find their way towards the deepest layers of the earth where they can find sources of water, nourishment.The heart is the darkest part of your being. It is like a dark night. It is your very womb, it is your earth. So people are afraid to move into darkness; they would like to remain in light. At least you can see where you are and what is going to happen. You are safe, secure. When you move in love, you cannot calculate the possibilities, you cannot calculate the results. You cannot be result-oriented. For love, future does not exist, only the present exists. You can be in this moment but you cannot think anything about the next moment. No planning is possible in love. The society, civilization, culture, church, all force a small child to be more logical. They try to focus his energies in the head. Once the energies are focused in the head, it becomes very difficult to fall towards the heart. In fact, every child is born with great love energy. The child is born out of love energy. The child is full of love, trust. Have you looked into the eyes of a small child? — how trusting. The child can trust anything: the child can play with a snake, the child can go with anybody. The child can move so close to a fire that it can become dangerous — because the child has not yet learned how to doubt. So we teach doubt, we teach scepticism, we teach logic. These seem to be measures for survival. We teach fear, we teach caution, we teach prudence, and all these together kill the possibility of love.